Home & Auto Insurance Review: Protect Yourself for Free! Sign up for our free Insurance Detective Review to make sure you and your family are protected in the event of an emergency. Get a Free Insurance Policy Review and Make Sure You Are Protected. 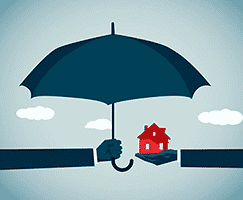 If you are relying on your insurance policy to keep you protected in the event of a crisis, you may be left out to dry. If someone attempts to sue you, is your back covered? Will your insurance do what you expect it to? Better to be safe than sorry! What can you expect during your policy review? Instruct you on how to change your policy to better protect you from the potential, predatory tactics of deceptive claimants! Schedule your 100% Free Insurance Policy Review! If you are relying on your insurance policy to keep you protected in the event of a crisis, you may be left out to dry. Stop by our office to meet in person with a member of our team for your free insurance review! Submit your request for a meeting; we'll get back to you shortly to schedule your appointment. Congratulations for taking the steps to protect you and your loved ones!